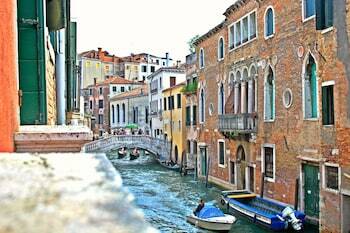 Cool Apartments Venice offers accommodations throughout the area in Venice. With a stay at Da Nonna Lucia in Perugia, you'll be 13.5 mi (21.7 km) from Arco Etrusco and 13.9 mi (22.4 km) from Palazzo dei Priori. Free self parking is available onsite. When you a stay at Residence Green House in Bocenago, you'll be next to a golf course, just steps from Parco Naturale Adamello Brenta and Rendena Valley. Free self parking is available onsite. With a stay at Aga Residence by Aga Hotel in Catania, you'll be minutes from Tribunale di Catania and Malavoglia Fountain. Featured amenities include express check-out and luggage storage.